MacBook isight. Scanner Photo Stitching. i have been consumed with work lately. recently i was promoted to my dream job - education and programming coordinator for my museum. so instead of doing boring desk work i get to help people. i go out into the community and work with those who are less fortunate. mostly i get to go to schools who have lost their funding in the arts and i teach them about art. seeing those shining, smiling, faces beam with love because they know that someone believes in them and because they feel creative and special, able to take on the world, chances and all, is the most rewarding thing of all. the transition hasn't been easy. i am basically creating this department by myself with absolutely no resources. this requires overtime, nearly every single night, 6 days a week. it's exhausted me, mentally, physically, and creatively... but i think that's the beauty of it. when you throw so much of yourself in something you truly care about you get to make the most difference and not just in the job, but also in yourself. MacBook isight + Fuji disposable. 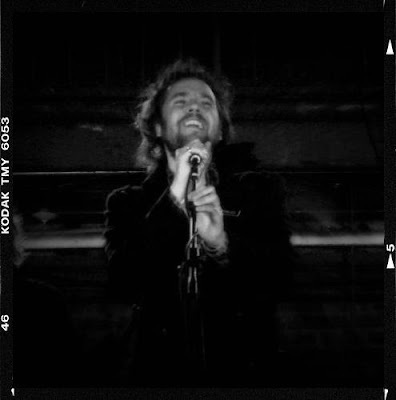 Scanner Photo Stitching. i just got back from the broken social scene concert and i am buzzing with happiness. ever since i can remember i have wanted to see them live. for so long their music has meant so much to me. it has been the words i could not speak in times of uncertainty, the soundtrack to my life spent abroad, the calming to my nerves, and the racing beat of my heart. i will hold with me always stars and sons and the clapping hands of 100s, shampoo suicides and hearing those breathy lyrics clearly for the first time, and of course anthems of a 17 year old roaring from the deapths of my lungs. i was also excited to get some fabulous shots of these music gurus in action. Diana +. Kodak tmy 6053 B/W. when you've grown up feeling homeless in your own land, where do you go to find yourself? this is my new book: Light Chasers. it's a collection of images and text collected from my journeys through old florida. the book is a hardback bound cover, with 30+ pages of my most luminous polaroids. $40 (limited edition of 50 copies). 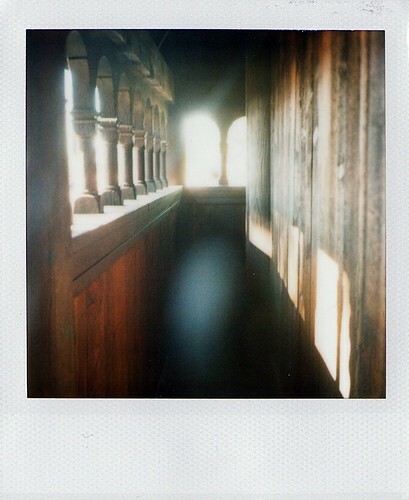 Polaroix Sx70. 600 film. ND filter. if i could string together every shooting star, then maybe you could see how my face shines just for you. if i could stitch my heart on the sleeve of my shirt, then maybe you would know just how much it beats for you. these polaroids are really silly actually. 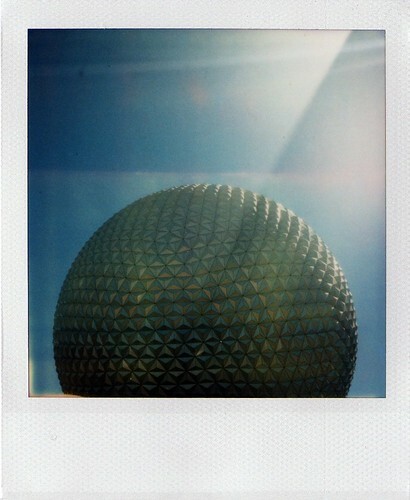 b and i went to epcot for the food and wine fest a few weeks ago. it was one of the most fun days i've had in a loooooooooong time. i got a real nice buzz from all the wine and also a few sweet polaroids as the sun was setting. 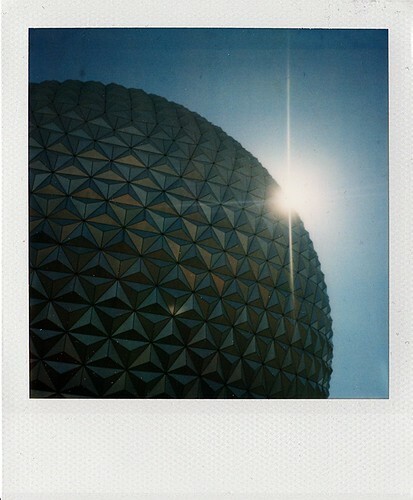 so this giant crazy geometric ball is the staple of epcot. i call it the giant golf ball. it was once part of a really old cheesey ride called "the world of tomorrow". i just love the shapes and design of it. i was really thrilled when lou obedlam blogged it on his site. lou is an amazing photographer, so just to hear that he enjoyed this photo means a lot. also, in the world of my tomorrow is the finishing of my book. light chasers. the photos are done, the cover is finished, the print is almost complete! i'm just really excited to put something out there that i am proud of. i know it's taken me ages to finish, it's taken me away from shooting, and from updating my flickr and blogs, but it was sooooo worth it. i will be posting the cover this week with additional information on pricing and ordering. yaaaaaaaaaay! sometimes i feel like i'm standing on a sinking ship, and no matter how quick i try to bail out the water, more water rushes in even faster. 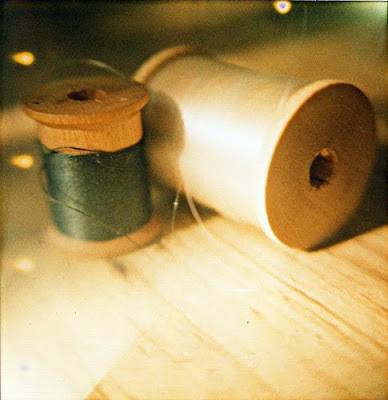 sx 70 alpha. 600 film. expired.